Sending Junius off to kindergarten has been an interesting experience. When he was in preschool, I knew most of the kids in his class and chatted with most of the parents before and after school. At most, there were 12 kids in his class, so it wasn't hard to keep up with everyone. Now that he's in kindergarten, we don't see the other parents much -- most families use the car pool lane in the morning and he rides the bus home in the afternoon. His class includes 23 children, so halfway through the year I'm still trying to remember everyone's name. When I ask him who he played with during recess, he usually says he doesn't remember or that he played with our buddy from the neighborhood. This is D's mom. D has a Christmas present for you. D was sick prior to school track out, so he was unable to come to school. p.s.thank you Junius for being D's friends and so good to D everyday. D been saying that you are his best buddy! While Junius tore into the gift wrap and busied himself setting up the game, I had to duck into the next room to wipe my eyes and pull my melted heart back into place. The boy who had sent the present is one of a few English-language learners in the class -- he's working hard, but it's tough to understand him sometimes. He's smaller than a lot of the kids, but has a sweet smile. And he told his mom that Juni is his best buddy. When I imagine Junius as a grown-up, I like to think that he will be smart, funny, interesting, successful, handsome, athletic -- all the things you'd expect a mother to want for her child. But above all, I want him to be a good friend, to be kind to people so that they want to be his friend, too. When I asked him if he and D are friends, he said, "Well, yeah. He plays with me all the time." Like, duh, mom. He's still a boy -- he's not divulging a lot of details. So I'll be filing that typed note from D's mom in my box of Junius' school treasures. Her words meant as much to me as any hand-print artwork or smiley-face report card. 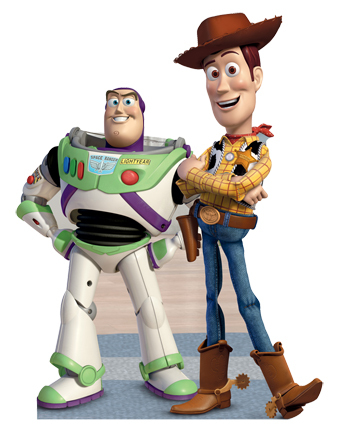 Image from eLifesize, in case you need a stand-up cardboard Buzz and Woody. I love books. I love to read them, hold them, own them, display them, wander around in stacks of them. And yet somehow, I almost never read anymore. Part of the problem is that my life is full of family, friends, home, work and occasional sleep (and I suppose that's really more of a blessing than a problem, right?). The other part of the problem is that when I finally take the time to read now, I binge. I ignore my children, my husband, everything as I cram my way through the book. Water for Elephants by Sara Gruen: Best book I read all year (not that it's much of a list). Even woke up early on a Sunday so that I could finish it. Read it now before the movie comes out and changes everything. Seriously, go read it now. The Wolf Tree by John Claude Bemis: Second in a trilogy by my college friend -- book 3 is scheduled for August. It's written for middle grades readers, but it's really, really good -- think Harry Potter meets American folklore. Start with The Nine-Pound Hammer first, then read this one. 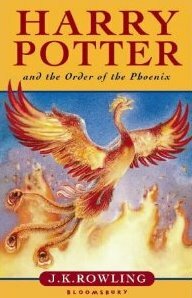 Harry Potter and the Order of the Phoenix by J.K. Rowling: Yes, another young adult book. But it was such fun to read over Christmas break. Book 6 is now taunting me from the book case, but I don't have the time for another binge. The Associate by John Grisham: I didn't actually read this Grisham novel, I listened to it. But with this book plugged into my ears, I managed to distract myself enough to run a 5K. So I think it counts. Even though the ending was lame. Nuture Shock by Po Bronson and Ashley Merryman: Technically I haven't finished this book yet. It's still sitting beside my bed. But I was really intrigued by the chapters I did read -- especially the one about gifted students avoiding challenges because they fear failure. Will keep plugging away at this new perspective on child-rearing. How about you -- what's the best book you read in 2010? Or what is still sitting on your list that you hope to read in 2011? Image from Amazon.co.uk, because I bought the British versions when I was living in the UK. These unaltered photos represent what Pippi saw at our house on New Year's Day. so don't judge the mess or the decor. Note her mirror-self-portrait at the end. One of the reasons I like blogging is that when my children do something awful (like smear poop all over the crib or dump parmesan cheese in the new carpet) or when I hear myself saying something ridiculous or when the man in front of me at church is fondling his wife's neck and stroking her cheek DURING MASS (for real, that actually happened two weeks ago, but never had time to write about it), I can immediately start rewriting the incident in my head as preparation for the next blog post. I can only hope that this tendency (however desperate it may be) to take craziness and turn it into something we can all laugh about is what prompted Allison at Motherhood, WTF? 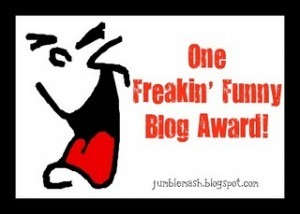 to bestow upon me the One Freakin' Funny Blog Award. Given that I think her blog is hilarious (in addition to being honest and tough and sweet), I considered this award to be a great honor. You should also check out the great company I'm sharing on her list of Freakin' Funny blogs -- these ladies are awesome. Congratulations, bloggers -- now share the funnies and go make us all laugh! If you don't know about StoryPeople by Brian Andreas yet, then consider yourself lucky that I'm helping you discover them today. They're a little hard to explain, but you can check out the website to see the quirky prints, sculptures, books and other pieces of art capturing poetry. The staff at StoryPeople are also really funny and clever -- it's worth getting on their mailing list just to get their adorable, stream-of-consciousness emails. No Words: I read once that the ancient Egyptians had fifty words for sand & the Eskimos had a hundred words for snow. I wish I had a thousand words for love, but all that comes to mind is the way you move against me while you sleep & there are no words for that. Quiet Pride: There has never been a day when I have not been proud of you, I said to my son, though some days I'm louder about other stuff so it's easy to miss that. Her Laughter: The first time her laughter unfurled its wings in the wind, we knew that the world would never be the same. No Regret: I sometimes wake in the early morning & listen to the soft breathing of my children & I think to myself, this is one thing I will never regret & I carry that quiet with me all day long. True Things: They came to sit & dangle their feet off the edge of the world & after awhile they forgot everything but the good & true things they would do someday. Can Stephen Colbert Be Our New Superintendent? In case you missed it, Wake County (where I live) is making headline news these days -- and not because of the crazy cold winter we're having (seriously, I am ready for spring NOW). Sadly, all the national coverage focuses on the demise of our district's diversity policy and the mess that has ensued as the school board majority barrels their way back to so-called neighborhood schools. The latest items include a story in the Washington Post, a letter to the editor from U.S. Sec. of Education Arne Duncan, and now a featured spot on The Colbert Report (see video below). I just wish we could have recruited him to be our new superintendent when we still had a vacancy. Can you imagine how entertaining school board meetings would be? As of today, I've been blogging for two years and 300 posts. Ta-da! When I started this blog, I didn't have any idea what I'd write about -- certainly wasn't confident that I could keep doing it for two years. And of course, I haven't written anything here for more the past two weeks. I think I got paralyzed when I realized this would be post #300. Also, I had a stomach virus, worked my usual office schedule, entertained my children, went on date night with my husband, managed the beginning of Home Renovation Phase 2, made lunches, battled the weather, went out of town, cooked dinner, did laundry, took Junius to his grandparents, bought groceries, blah blah blah blah. So here you go. Post #300. 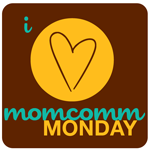 If you want something more substantial, go check out the guest post I wrote for Adventuroo and her Momcomm Monday series -- you can learn why I think Twitter is a good thing, especially if you're a blogger. Then come back soon -- I've got lots to say, so I promise to start writing here again. After spending the summer attending a very welcoming Christian bible study with friends, my family and I went back to Sunday mass at our own church. It's the same church we've attended since we moved here, but it felt different to be back after our summer experience. I think the break was good for me -- good to wrestle with some of my questions, listen to other voices, explore a little something new. It was the right place to be, but not the place for me to stay. 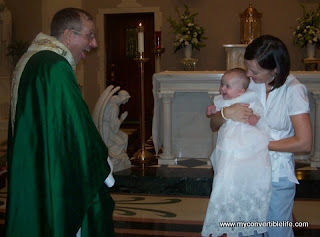 In the end, I think I missed the traditions and rituals of Catholicism, missed the sense of "home" at church -- the religious equivalent of what one of my friends calls "comfort food for the soul." That doesn't mean there aren't still sticking points for me with The Church. They're all still there -- but I've recognized that some of those questions are as much a part of religion as Jesus and the bible. I'm not the first person to wrestle with this -- if anything, I'm in great company with religious people throughout the ages. Then Sunday night, my husband played the audio recording of this sermon from Father Frank Cancro at Queen of the Apostle Church in Belmont, NC. Father Frank is a long-time friend of my husband's, although I've only had the good fortune to see him a few times. If you can carve out 17 minutes from your day, I encourage you to listen for yourself -- pay special attention around 7:38. If you don't have 17 minutes, here's a peek: "We are members of the same body....We are all co-heirs to the promise." If the path to God is open to me, then it is open to everyone. "Let's be honest," Father Frank told his parishioners on Sunday. "We go through a lot of aspects of our life where it's easy for us to put someone... a little below us... [It] becomes an easy step for us to be able to make judgments and to be prejudiced... And so the gift that we receive at the Feast of Epiphany is the gift of being challenged to... reshape our hearts." He goes on to beautifully and eloquently list inequalities past and present that resulted from human prejudices. These groups that some have judged to be outside God's love -- the American slave, women in ministry in the church, illegal immigrants, gay people, African-Americans, criminals, the poor -- are co-heirs to God's promise along with all the rest. I was already entranced, amazed to finally hear a priest say these things I needed to hear, when he added this one: "Catholics who identify strictness and narrowness as holiness are co-heirs with Catholics who are holding onto the fringe of the carpet of faith." That would be me there, with a fistful of carpet fringe clutched in my hand. The key to our inheritance, says Father Frank, is forgiveness. We have to forgive ourselves for believing that we alone own the path to God, forgive ourselves for making judgments that are not ours to make. ...and as long as there are priests who make homilies like Father Frank, then I can be Catholic for at least one more year.